The latest 3U VPX embedded system from Extreme Engineering Solutions (X-ES) sets a new standard for high-bandwidth data acquisition and signal processing in harsh environments. With multiple high-speed optical links, an Intel® Xeon® D-1500 processor, and a Xilinx Kintex® UltraScale™ FPGA, the XPand6215 offers uncompromising performance and reliability in a SWaP-optimized two-slot system. The XPand6215 is a commercial-off-the-shelf (COTS) rugged chassis hosting two conduction-cooled 3U VPX modules. One slot contains the XPedite2570, a reconfigurable fiber-optic I/O module based on the Xilinx Kintex® UltraScale™ family of FPGAs. The XPedite2570 supplies 12 protocol-independent optical transceivers operating at up to 10.3125 Gb/s, along with 8 GB of DDR4 ECC SDRAM in two channels capable of up to 38 GB/s aggregate bandwidth. The transceivers utilize 50/125 μm multi-mode fiber with MT connectors and are qualified over the full -40°C to +85°C industrial temperature range for reliable performance in extreme environments. These optical links are paired with a user-programmable Xilinx Kintex® UltraScale™ FPGA, which provides a blend of performance and cost-effectiveness that is ideal for packet processing and DSP-intensive processing in embedded applications. The other slot of the XPand6215 contains the XPedite7670, a 3U VPX Single Board Computer based on the Intel® Xeon® D-1500 family of processors (formerly Broadwell-DE). Available with up to 16 Xeon®-class cores in a single, power-efficient System-on-Chip (SoC) package, this processor puts the XPand6215 in the upper echelon of embedded system performance. Xeon® D processors with up to 12 cores offer native extended temperature support with an operating temperature range of -40⁰C to +85⁰C. The XPedite7670 also provides up to 16 GB of DDR4-2133 ECC SDRAM, while an XPort3305 10 Gigabit Ethernet XMC module installed on the XPedite7670 provides a rugged 10GBASE-SR Ethernet port. The XPand6215 makes the most of every pound and square inch, packing maximum functionality into a streamlined two-slot design. Its integrated 28 VDC power supply eliminates the need for an additional power supply slot. It also includes a memory bay for a removable 2.5 in. solid-state drive (SSD), adding the option for up to 1 TB of storage. Fully loaded, the system weighs approximately 9.11 lbs. (with an SSD) or 8.75 lbs. (without an SSD), making it ideal for cutting-edge military and industrial applications that require small, lightweight solutions. 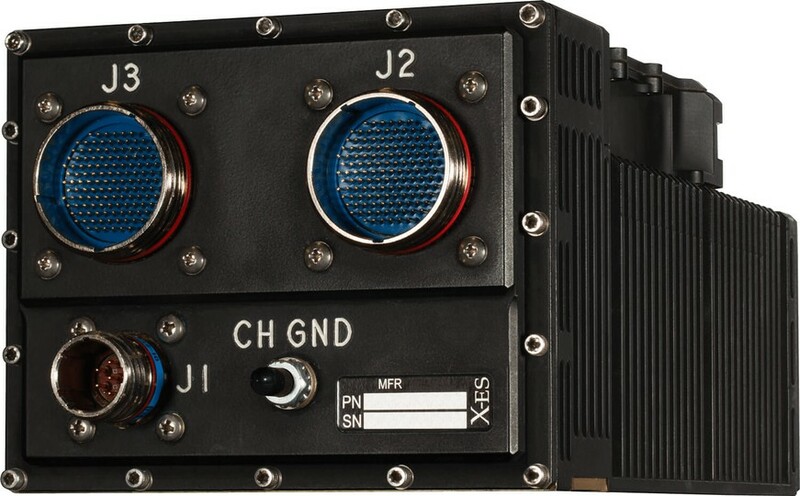 Qualified to the MIL-STD-461E/F, MIL-STD-810, and MIL-STD-704F standards, the XPand6215 has passed a battery of tests to ensure reliable operation in even the most challenging environments. About X-ES — Extreme Engineering Solutions, Inc. (X-ES), a 100% U.S.A.-based company, designs and builds single board computers, I/O boards, power supplies, backplanes, chassis, and system-level solutions for embedded computing customers. X-ES offers cutting-edge performance and flexibility in design, plus an unparalleled level of customer support and service. For further information on X-ES products or services, please visit our website at www.xes-inc.com or call (608) 833-1155.